The new edition of this popular resource represents a total revision of previous content and provides the reader with state-of-the-art knowledge of the field. 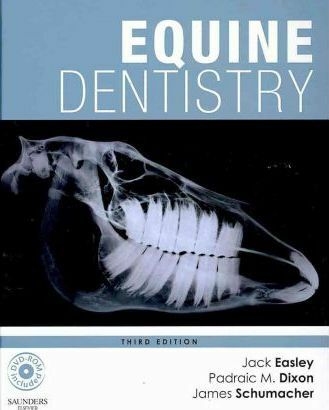 Comprehensive and definitive, "Equine Dentistry" third edition retains the successful approach of extensive illustration and step-by-step guidance through oral and dental procedures. In addition, it includes many new figures, expanded text sections in key areas, and brings to the team two new editors of international repute. Many new contributions from international experts are combined in this text to promote not only the care of horses in regards to oral and dental health but also the education of veterinary professionals in this rapidly developing area. Dr. Jack Easley ist leitender Tierarzt einer Pferdeklinik in Kentucky, USA.